" A very comfortable, enjoyable second stay. Beautiful setting." Excellent accommodation, in a lovely setting. Managed to visit many picturesque areas - Loch Lomond, Loch Katrine, also Glasgow and a memorable sea plane flight." - Sue and John, West Sussex. "2nd stay. Just as good! Thank you." - Anne and Jim, Derbyshire.
" A lovely, relaxing atmosphere. Just what we needed." - Pat and Philip, Middlesex.
" 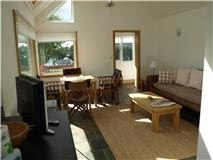 Excellent location, wonderful views, very clean accommodation and decor too! Would recommend and use again." 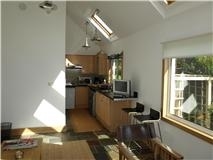 "Perfect for both Glasgow and the Trossachs! We loved both and had a wonderful holiday. I would recommend Loch Katrine especially. Fabulous cottage! Thanks." - Claire and Duncan, London.
" Excellent location for both city and country outings. So much to see." - Bob and Cathy, Surrey.